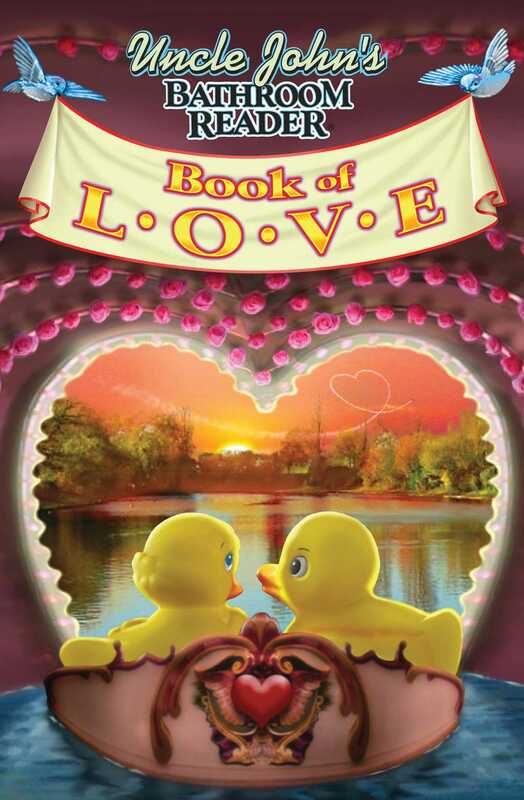 Who wrote the book of LOVE? Uncle John, of course! A book by any other name would not be so sweet and fact-filled. The perfect gift for your significant other, Uncle John’s Bathroom Reader Book of Love will tell you everything you need to know about this mysterious emotion and its trappings. Read about the history of chocolate, the origins of some lovely love songs, and history’s greatest romances. Plus you’ll learn what makes lipstick shimmer, how children define love, wacky ways to get married, and much more! It’s not just the endorphins talking…you’ll love this book!